The Premier League is into the second half of the season now and every single week we see big games at both the top and bottom of the table, with valuable points at stake. Up at the top, we have Manchester City and Liverpool battling it out for the title, while Arsenal and Manchester United are currently outside of the top four race, looking to find a way in. Down at the bottom, Huddersfield already look in deep trouble but the remainder of the teams are quite close together and assuming Huddersfield go down, it is any two from six for the other two places. Up at the top, the biggest game of the week is certainly Saturday evening’s clash between Arsenal and Chelsea at The Emirates. These two rivals are battling for a top four spot, but a Chelsea win here would increase the gap between them to nine points and make it very tough for Arsenal to come back. The big one at the bottom is between Newcastle and Cardiff, who are currently split by just one point. Cardiff have 19 and are just outside of the relegation zone, while Newcastle have 18 and are in the bottom three, showing just how tight things are down there right now. There is no team in the Premier League with a recent record better than that of Manchester United. In the Premier League they have won their last five games, and overall it is six with a win in the FA Cup. Every one of those victories has been under their new caretaker boss Ole Gunnar Solskjaer and he is looking for his seventh win in a row here. United ended their ties with Jose Mourinho looking well off the pace, and in no position to challenge for the top four. However, after their turnaround, they are six points off Chelsea in fourth, tied with Arsenal in fifth and if results go as I expect, they will be in fifth place after this weekend’s games. Brighton are doing well to remain clear of the relegation zone as they look to survive in the top flight once more, but they are going to be no match for the might of Manchester United here. Solskjaer has this team ticking again, and the further this goes on, the more he is staking his claim to be their permanent manager in the summer. This looks another solid opportunity for United to get three points on the board. With new managers coming into these two clubs at the start of the season, expectations were lowered a little, especially at Arsenal who seem to be patient when it comes to their rebuild. Neither team would have demanded the top four, although Chelsea would have wanted it more than Arsenal based on the position they were in. After 22 games, Chelsea are in, with a six-point advantage over both Arsenal and Manchester United, who occupy 5th and 6th. They have a great chance here to put a nine-point gap between themselves and Arsenal and based on recent form they have a great chance to do that. Chelsea come here on the back of three wins and a draw from their last three games, while Arsenal have really struggled over the Christmas period and they have just one win from their last four. That has allowed the gap to increase between the teams, and I am backing Chelsea to increase that even further on Saturday evening. Arsenal appear to be dropping away, while Chelsea are continuing to play well enough to book a top four place, so it’s a Chelsea win for me. The big pre-game news from this one is that Tottenham will be without Harry Kane until March, leaving a big hole in their attacking play. On top of that, their other forward Son is now away with South Korea for the Asian Cup, meaning they are without their two main goal scorers for the next few games. Can they cope with that? Tottenham are currently in third but only one point ahead of Chelsea in fourth so the pressure is on. Fulham are struggling in the relegation zone right now, but they have moved off the foot of the table. They are five points away from safety, and things are very tight with plenty of teams involved so they have every chance to get out and survive. However, despite not having too many goalscoring options available to them, Tottenham have been playing well recently and they are a class above Fulham. It may not be as easy as it could have been for Spurs, but I’m backing them to find a way to score and scrape through here in a game where both teams would love to take something to aid their different causes. The away team Chelsea are favourites to win the big game of the weekend in the Premier League. They are available at 6/4 to beat Arsenal, while The Gunners can be backed at 21/10 at home in this one. Those looking to place an acca this weekend will immediately be drawn to three big teams, Liverpool and Manchester United on Saturday and Manchester City on Sunday. At 1/5, 3/10 and 1/6 respectively, these three will no doubt be bankers for many punters. The big game at the bottom of the league features Newcastle and Cardiff and it is The Magpies that are priced up as the 1/1 favourites to take all three points. Cardiff are 10/3 to go up north and take the spoils, and they will know that a win for Newcastle will swap these two around in the standings, putting Cardiff in the relegation zone. The final game of the day between Spurs and Fulham would normally be a banker away win for many people, but with a lack of scoring options, Tottenham are not as clear cut favourites as they would normally be. That is factored into the price though, Spurs are as big as 3/4 to win this game, while Fulham can be backed at 17/4. If you are looking for a new betting account this weekend and you want to take advantage of a huge accumulator offer, be sure to check this offer out from Coral. 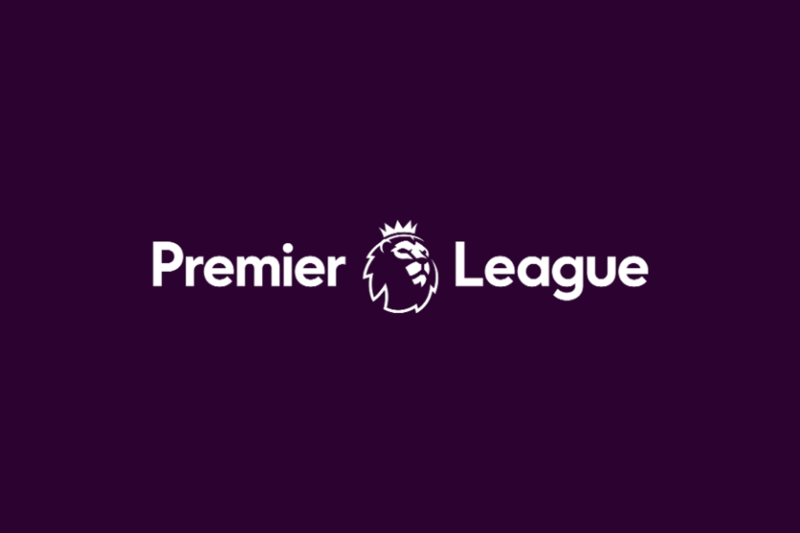 When you sign up to a new account with them you can place a bet on four Premier League teams to win this weekend, at the enhanced price of 70/1. The four teams are Liverpool, Manchester United, Newcastle and Tottenham, who all look to have solid chances this weekend. The bet is to a maximum stake of £1, and winnings from the bet will be paid out to you in free bets. This is a great way to build a betting bank with your new bookmaker and involves four teams who are in with good chances across Saturday and Sunday. If you like to place correct score bets and you are looking to do so this weekend, then this offer from Energy Bet will be of interest to you. If you stake £10 on a correct score in any Premier League game this weekend and the game ends as a 0-0 draw then they will refund your stake as a free bet. This is a great way to cover your stake, and we all know that there is nothing worse than watching a 0-0 draw in football, so this will ease the pain slightly for you! The minimum stake to qualify for this offer is £10, and the maximum refund for bets is £10. If you are looking at a correct score bet this weekend on any Premier League game, check out this offer from Energy Bet. Betway – Bet £5 on Arsenal vs Chelsea Get a £5 Free Bet + More! If you are looking to place a bet on the Arsenal vs Chelsea game this weekend, which many people will be doing, then be sure to check out what is on offer with Betway. If you stake £5 or more on a BetYourWay bet before the game begins, they will give you a free £5 bet to spend how you like, and the chance to win another £5 free bet from them! The second free bet will be given out if Aubameyang scores for Arsenal at any time in the game, so look out for your original bet winning, as well as Aubameyang scoring to secure you another £5 free bet from the game.